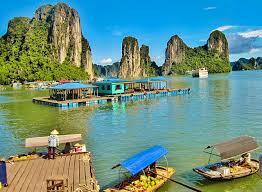 Are you looking for a Vietnamese Translation Services in Sydney? Yes or yes? If you’re reading this, then you probably are. Sydney Translations provides Vietnamese translation services for a wide array of projects and documents. Your documents will be in the good hands of Sydney Translation’s highly skilled Vietnamese translators who are capable of creating an efficient and accurate translation of your document. We are well known for our fast, reliable and professional Vietnamese translation services in Sydney for seven years. Sydney Translations have worked with various clients in several fields from individuals to businesses, and organisations to government agencies. Get an instant quote when you complete the translation form and attach a scan or copy of your document. We will send you an email containing the exact quote within 15 minutes. Reliability. We Boast of Proficiency. Our Vietnamese translation services are done by NAATI certified and highly skilled Vietnamese translators who both know the nuances of both English and Japanese. We have handpicked translators who are experienced in various fields in the translation industry and have proven throughout the years that they are more than capable of finishing an accurate and error-free translation. Fast. You Receive It When You Need It. If you are in a hurry, we guarantee 24 hours completion with our Express and Instant Vietnamese translation services. Simply let us know your deadline, and we’ll deliver. Top Quality. Beautifully Crafted Vietnamese Translation Services. We ensure that your documents are translated by the appropriate translator. With our team of project managers and proofreaders, you are guaranteed to receive a translation that is equal or even better than the source document. Affordable. Translation Doesn’t Need to Be Expensive. Standard documents such as academic transcripts, birth certificates, death certificates, ID Cards, police checks, divorce decrees, diploma certificates and more are priced on a per page basis starting at $69. Meanwhile, business, corporate and government documents are set at a per word rate. Prices differ depending on the document’s language, subject, turnaround time and length. Get an instant quote when you fill in your details in the translation enquiry form. We’ll email you in 15 minutes with the exact quote. Are you ready now to inquire and submit your content for translation? Follow the steps below. Get an exact quote. Complete the translation form, and we will email you a quotation within 15 minutes. Afterwards, process your payment via bank transfer and fund transfer using Paypal. We also accept credit cards. Once we receive your payment, we will start the translation process. You will receive an email containing the draft soft copy when we have finished translating the document. If you like what you see, we will send you the final soft copy and a certified hard copy to your preferred address. Everything is done online. We understand how busy you are, so you don’t need to come to our office to submit your document. You can send us a copy or scan of your content using the translation form located on this page. 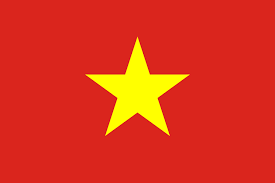 Vietnamese is being used as the official language of Vietnam. Nowadays, around 90 million people use the language in daily conversations. The vocabulary of the Vietnamese language is greatly influenced by Chinese as it uses Chinese characters that are modified formally. Diacritics are placed above and below a vowel to determine the different tones of the Vietnamese letters. As a result, the language has six different tones. It is thought that the language has branched from some Austro-Asiatic family of language. The written language of Vietnamese is easier to comprehend and understand than the spoken one. Get an instant translation now!